As the Month begins, Mercury (Self-expression) will be in Taurus and your 8th House of finance, resources you share with others and matters considered hush hush. When speaking on or about these topics, you will be ultra convincing and persuasive. The 8th House also rules taxes, insurance and mortgages, so it's entirely possible the first half of the month that Mars (Physical Energy/Motivation/Sexuality) and Mercury (Expression) BOTH in Taurus bring about extreme behaviors, dealing with life and death matters and a grim determination. The 8th House is a power House but it can also deal with many mundane issues, so not to worry but keep a clear head. Your ruling planet, Venus (Love), enters the compatible air sign of Gemini on 5/9 -6/2, Libra. Venus (Love) will join Jupiter (Expansion/Movement) and these two planets will occupy your 9th House of overseas travel, foreign countries and people from foreign countries. You and a romantic interest could be travelling together this month or you could be dealing with a romantic partner from a distance. The 9th House is all about higher education as well, so you might meet someone in a class or take more of an interest in pursuing higher education during the transit of Venus in Gemini. Love flows smoothly, overseas travel is favored and you could encounter the love of your life at a college campus or while taking a course. Single or coupled, this transit will bring favorable outcomes in these areas for you this month, Libra. Romance with someone from a foreign country plays a serious role. The personal transits this month could, however, bring about some indecision by causing you to question the value of personality and education and what matters the most. Singles find themselves strongly drawn to studious types while couples will bring out the best in one another. A Solar Eclipse and New Moon occur on 5/9 in the sign of Taurus. Taurus is your 8th House of finance, money/resources you share with others and also deals with others people's money. New Moons bring new offers your way and this eclipse packs a big punch where your partner's finances are concerned. Good news involves resources you share with others and your partner could experience a windfall during this eclipse in the Venus ruled sign of Taurus. This would be an ideal date to sign contracts, start your own business or a project that you are serious about. Projects begun on this day will be fortunate for Libra, long term. There will be opportunities to have your desires fulfilled as long as you are true to your inner hopes and wishes. A Lunar Eclipse and Full Moon occur on 5/25 in the sign of Sagittarius and your 3rd House of communications and siblings. The 3rd House also rules neighbors and your community, so you can expect some unexpected dramas in these areas throughout this eclipse week. Pay attention to events that occur on 5/21 to get an idea of how this situation can play itself out. Emotions, yours and that of neighbors and friends, will be volatile and dramatic. You could be dealing with issues of power and control. What begins as a fun time can turn not so fun, fast. Be aware that others will be in mood to argue. Your communication skills and writing can be involved in some regard also around this date. 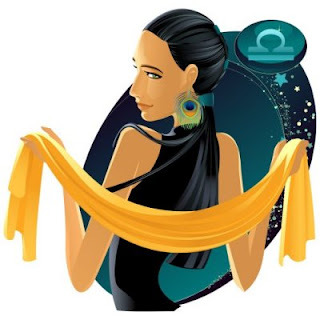 Turn on the Libra charm when you sense tension coming at you, especially where your neighbors and relatives are concerned. An Aries, another Libra and a Pisces will play serious roles in your life this month.